Understand Blue: Give Thanks, Little Turkeys! This morning I am prepping the last few dishes for our midday feast tomorrow. I love this holiday. It's all the fun of Christmas without the stress and shopping. Although we haven't shopped in years, since we opted for 100% handmade or re-gifted Christmas many years ago. But more about that later. Today I'm hopping with some friends on a Thankful for the MISTI blog hop. The MISTI has changed my stamping world forever. It has removed all the frustration from stamping. It helps me make multiples more quickly. It eliminates waste from trashed cards that were poorly inked or had crooked sentiments. But more than all that, it has brought amazing people into my life. 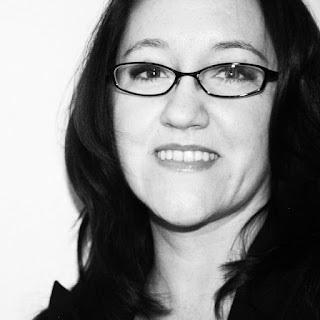 The inventor is an amazing woman who I'm proud to call a friend. I've learned a ton from her and hope to learn more. Her engineering brain amazes me daily. A dear friend with Parkinson's can enjoy stamping again, thanks to the MISTI, and another friend could stamp through hand surgery recovery with this amazing tool. I honestly don't remember how I stamped without it. So for my project today, I decided to turn a winter/Christmas stamp into a fall/Thanksgiving stamp with the MISTI. I love this Scandanavian design, but the little wheat-like elements made me think of fall, so I did an offset stamping technique. Even with intricate images, you can have fun with offsetting an image in a different color. The trick is not to offset by much. I made a quick video for you here! Excuse my froggy voice! It's November in Texas, which means I can't talk at all. This is just a fact of living here since 1990. I hope you have an amazing Thanksgiving if you are in the US - and an amazing weekend if you are not. This is the weekend that I design and begin my Christmas cards, so I'm looking forward to inspiration striking me in between turkey sandwiches, My Christmas cards are my opportunity to give a gift to people I don't get to see often, so it's a joyful creative process. I am very grateful this long weekend to be an American, a crafter, and the recipient of your friendship. Thanks for coming by today. Hello Lydia: What a gorgeous image and I love the shadow effect you achieve by moving it just a tiny bit. May I suggest something to you about the MISTI? (by the way, I adore mine). When I'm using cling red rubber stamps with my MISTI, I'm always very worried that sentiments will be stamped crooked and thus mess up my finished panel so, it occurred to me that, by using a piece of transparency sheet or the plastic piece from a Stamp-a-majig and placing it on top of your finished panel, you can safely stamp your sentiment and make sure it's perfectly straight, if it's not, you can just clean the sheet, adjust your sentiment stamp and stamp it again on the sheet to see if it's just fine to stamp it on your finished panel. I hope you give this a try, it will save you a lot of the grid paper and your sentiments will always be straight. Love these colours Lydia ... this image is beautiful and could be used for so many different occasions . I teach 4H Scrapbooking and card making and what a wonderful tool for these creative young ladies. Thanks for sharing your creative ideas. I don't own a Misti...yet...lol but I would truly thankful for it to mass produce cards quickly. I have a couple of friends that would love to own one too so guess they would have to pull straws...lol!!! Love how you offset your stamping! I do not own a MISTI so if I won one, it would definitely change my world and I would donate the other MISTI to one of the ladies from my card making classes. I can just imagine how this will change my stamping ability and allow me to show other card makers what we are missing out on. I would be so Thankful if I had a MISTI but I'm also thankful for the opportunity to try to win one. Thanks Blue. This turned out really unique for a thankful card. I'm thankful for such a great group of designers who share their talents! Offset stamping with MISTI, who knew? Love my MISTI, would love to give one to a friend, perfect for the thanking/thankful holiday! I am very thankful for the MISTI because I am no longer wasting vast amounts of card stock trying to stamp sentiments STRAIGHT! I've heard about the Misti and would love to try one out. Even without it, I find a way to use those unfortunate cards. I would be so thankful not to have so many boo-boos to begin with. My crafting friend is perhaps my most loyal. Fierce friend if you know what I mean. She would do anything for a true friend and I think I'm fortunate enough to be one. Barbara would get my second Misti and we'd craft together! I am thankful for the MISTI for way too many reasons to list. The most obvious one is the ability to reink and image and restamp it when the first attempt is less than perfect. But through the blogs, I have learned so many fabulous techniques. Thank you, Lydia. I enjoy your cards and your sense of humor. I would give a MISTI to my son's fiancee, who is just learning to stamp. It would save her a lot of frustration. I love your card! And I would be so thankful to win a MISTI, as it's getting harder and harder to stamp as my hands stiffen more with arthritis. I would give an extra one to my stamping buddy, Barbara Z.
I love my MISTI, too! I am developing arthritis in my right thumb, and find that holding stamp blocks really aggravates it. The MISTI allows me to keep this hobby that I enjoy so much! If I were lucky enough to win, I would share the MISTI with my stamping friends, Christine and Jamilla. I love your card! What a great selling point for the Misti. I don't have a Misti-yet! I have a friend with MS and this could be something she could use. thanks for sharing your thoughts and talents. I love your offset stamping on this pretty card! Beautiful design! Just finding out about this awesome hop this morning, and I am thankful for my mini MISTI! I love it for adding a sentiment and knowing I will get it straight! I have yet to try off-set stamping...how behind the stamping curve am I! Love your card and am inspired to sit down and give it a try...thank you for sharing your creativity and always love the morning rants! Well, How awesome is this post today for I was thinking of you only a couple of days ago while using my MISTIs for a stamping project. I had quite the assembly line going! My heart was overflowing with thankfulness for what you have brought into my life even though we have never met in person! I bought my first MISTI (well my family bought my first MISTI for my birthday) because of your tutorials and I recieved a second MISTI for a project. I would absolutely love to win the mini to round out my collection. :) Your card is beautiful. I can't wait to try shadow stamping with the MISTI! Happy Thanksgiving! Thanks for making my internet sparkle! Oh yes! Such perfect lining up - YAY for MISTI! :) I am thankful I found this hobby 20+ years ago! I would LOVE a Mini Misti and I would give the other one to my newly widowed Mom, who would love this! Great way to use the MISTI! Very cool look. Really nice idea - I wouldn't have thought of that. Very pretty. Such a beautiful card! I love it! The Misti makes elegant cards so easy. I'd gift the second one to my awesome house crafter sweetie Kim! Lovely card and well done video too. I am thankful for the MISTI because it not only helped me be a better stamper but it enabled my Art class students to stamp their own sentiments for their Mother's Day cards that we make in class. I am hoping to acquire more of them so my students won't have to wait so long in line to use it. Your card is so striking! Love it. I'm thankful for the Misti because it enables anybody to get the perfectly stamped image every time. If they were giving out "Oscars" for paper crafting, the MISTI would definitely win in many categories. This technique has "happened" to me so I guess I could keep it and use it on a card. I dont have a misti yet, but it's on my wish list. I am most thankful for my friend Laura who is there for me always. She recently came to visit from out of state, and helped me get my tree up for Christmas and do lots of other odd jobs to help me out. She can't sit still. I wanted this visit for her to relax (she's been under stress like crazy lately) but she says it relaxes her to help me out!! Your card is lovely. thanks for sharing. Your card is so pretty. I don't have a misti but I have seen how amazing it is. I would be thankful to win a misti for both me and a friend. Saw this card in Instagram before heading over here! Love how it jumps out at you and totally captures your attention!! I wish I had a Misti this spring when I did my baby sister's shower invites and thank you's! Sooooo need one in my life. Love your card! Wow! Love the stamp I am thankful everyday I can be creative. What a gorgeous card! I am so in love with the colors you used! I am thankful for my MISTI because I lost the use of two fingers and my thumb on my dominant hand in 2013 from an injury and had trouble stamping clear images. Since I got my Mini MISTI I am able to stamp again and love the results instead of being frustrated! It may sound crazy but I am thankful that I got injured because if it hadn't gotten infected I would not have realized that I needed open heart surgery! As they say, all things happen for a reason! Happy Thanksgiving and CRAFT ON! I too, love this holiday. It's such a great time to stop and think about all the good and be greatful for the past year and the memories and plan for the next! I am glad for the Misti and the ease of "mass producing" that entered my crafting life this year! The Misti has so many more benefits, but just love that I can set up a design and get it right every time I stamp! I am also thankful that you take the time to share your ideas and creations. Thank you. Great card! I have a Misti on my Christmas list. Beautiful card! I don't have a Misti, so it's difficult to say why I'm thankful for it...other than I've heard great things about it! :) If I win, I would gift the second one to my sister. Happy Thanksgiving! Love your beautiful card. Great sentiment. Thanks for your video. LOVE this card! I am so thankful for the MISTI to be able to mass produce cards. Makes it so much easier! Thank you for sharing and Happy Thanksgiving!!! Nice job! I would be thankful to win a MISTI so I could repeat a poorly stamped image...it would save the trees!! Great idea. It was good to hear how the Misti helped your friends. I never thought of that. It is wonderful. I am so grateful for my misti as it has taken all the frustration out of stamping...I never liked wasting cardstock...I really love it around this time of year when I mass produce Christmas cards. Beautiful card. I haven't done much with the offset stamping, it makes me nervous. Guess I will try again. Thank you for being a part of this giveaway. Great card, I love this stamp set. Lovely card. I don't think I've visited your website before, and am so glad the Blog Hop brought me here!! Hope your throat makes a speedy recovery so you can enjoy your holiday. Happy Thanksgiving! I am thankful to the almighty for all the blessing he has showered on me. I don't own any stamping tool though I have collected few stamps but getting a stamping tool like MISTI is out of my budget now.. Guess will to wait for a year! I would be grateful to MISTI if I could win it. Thanks for the video. I would have done it the hard way and try and move the stamp. I used my mini MISTI to stamp all of my Christmas. It was such a time saver! I appreciate the blessing that the MISTI is in my crafting and would love to share one with my friend Clovis who has been such a blessing in my life! Your spirit is always so inspirational as well as your cards! The Misti helped to end my frustration with nit getting the image stamped to perfection. Thanks to Misti, I can now do it. I would love to win one for Bobbye Sandback because I think it would bring her back to stamping! Happy Thanksgiving! Don't you love what you can do with the MISTI. I know my pal Shona Chambers would want one, as well as, I. 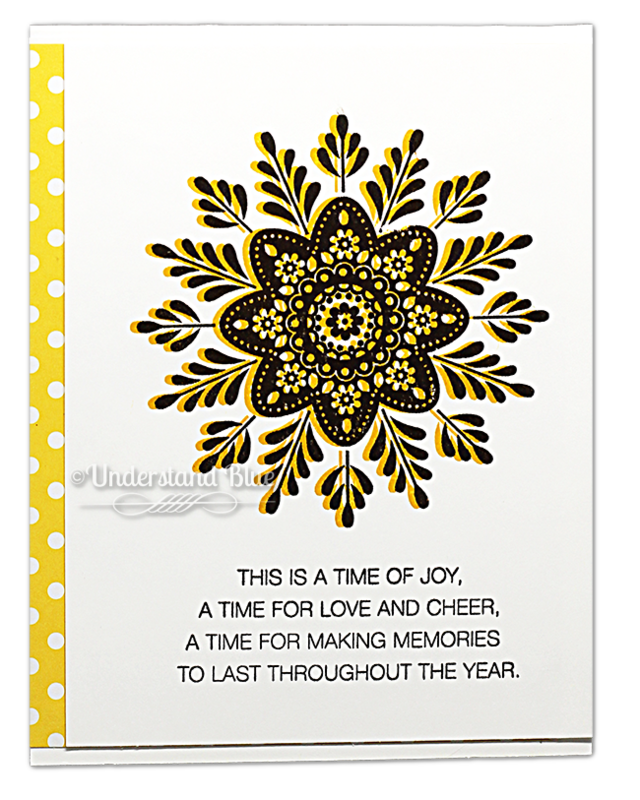 Love the offset stamping and, since yellow is my favorite color, this gorgeous card sings to me in dulcet tones. what a great way to get more use from a stamp. lovely card. Happy Thanksgiving. Your card was awesome! I love how you think out of the box. The MISTI is a wonderful tool for stamping!! It would make everything easier! I'm so thankful for all the crafters that share their how to's and videos. New to the MISTI but am wanting one really bad after seeing a couple of the videos.. Amazing!!!! Very pretty! I would love to try the Misti! Love the shadow effect by using the MISTI. Great card! I don't have a MISTI yet, nor have I seen one in person, but this looks like the perfect tool to make my stamping easier and more fun. Card making is my favorite craft, so a MISTI would get a lot of use. My daughter is also a stamper and would love to get a Misti along with me! Have a wonderful thanksgiving!!! I love the MISTI. My sister is lending me hers, and as I put together my Christmas cards I realize how much time and frustration it's saving me. If I win, my second MISTI will go to my friend Celina, who has a five-year-old and needs all the card-making shortcuts she can get! Great job! How awesome are you to share! Thabk you! Love the offset technique. Misti would make it work for me! Lydia, your colors are great! I'm excited at the prospect of owning a MISTI and having one to give a friend!! What a pretty design. I love the double stamp technique. One could not achieve this without a Misti. I am thankful for my little sister Amy. She is such a good person and a great sister. Family is always first for her. She is the glue that holds us all together. I love the Misti for making multiple cards - it is the best tool I have in my stash! Lovely card! Grateful for my family and spending time with them. Happy Thanksgiving! I love the MISTI because it makes mass producing Christmas cards a snap. If I won I would give one to my sister who got me into stamping. Wow! Love the colors! I don't have the MISTI but I own something similar, I'd love to win one though and be able to stamp larger background images! I have a smaller version. I would love to share with my friend Becky!! She's the only cardmaking (real life) friend I have! Lol! Happy Turkey Day! Love this pretty off-set design. I'm thankful for all the wonderful people in my life. Stunning colors and love the offset technique! LOVE this technique and can't wait to try it. Thanks for the great inspiration!! Such a gorgeous design!! Beautiful card! I'm Canadian, so my Thanksgiving was last month. However, I'm always thankful. I have food to eat, a safe place to sleep, a job that I really enjoy, and hobbies that are fun. I don't have a Misti. They're expensive up here. Consider what they cost in the USA and then add exchange and duty onto that. :/ I would love to have one and I have a friend who is guilty of getting me into paper crafting who would also benefit. Lydia thanks for sharing your beautiful card and the technique! Happy Thanksgiving! I forgot to say why I was thankful for th eMISIT. I. Am thankful because the MISTI makes my cards much neater and clean and saves me lots of cardstock. I would give the extra MIsti to my daughter. When the MISTI first came out, I knew I had to have one. Like you, I was always frustrated by the many sentiments that just weren't quite straight. This tool has helped me tremendously. Love this card. Absolutely brilliant card. I would love to win a Misti. I would find it so helpful with papers that are hard to stamp (such as watercolor paper). Knowing that I can stamp again and again until the impression is complete without the worry of the stamp shifting is something I would look forward to. I know my friend, Kim Schaeffer Venezia would love to win one of these as well! I'm so grateful to have met someone who is as crazy as me, lol. Thanks for the opportunity to win! Thanks for sharing your technique of offset stamping. Love the card. Thanks for sharing your pretty fall card. I love the colors and the image used. Happy Thanksgiving! Love your card! I am thankful for the Misti because I can still stamp even though I have to wear four braces on my arms. I would give my friend, Jessica a Misti because of her beautuful soul! Wonderful card and technique. I love the Misti because it helps to get a crisp image even on textured paper and takes so much of the frustration out of stamping. AWESOME Card, thanks for the video! I am thankful for my sweet crafting/water exercise friend Michelle! It is the greatest tool ever would love to have my own. Very lovely! I love the offset and the colors. Thanks for sharing your technique! unlike my daughter Ashleigh, who has dyslexia, I don't have an excuse for why my sentiments are always crooked 😆 We craft together so MISTI would have a lovely home and be loved if it should come to live with us. I would give the second Misti to my sister who had a massive stroke some years ago, she used to paint, knit, crochet and was gererally very crafty. Since the stroke she has been unable to go back to her crafts, even writing her name is a struggle....I introduced her to stamping encouraging her, she struggles sometimes holding the blocks so a Misti would empower her even more and help to rebuild her confidence. Wow! I love the shadow effect that the Misti creates by slightly moving the paper. Thank you for sharing your wisdom and talent!!! Very striking in these colors. I love the MISTI for perfect stamping! I would gift one to my 10 yr. granddaughter who played with mine and fell in love with it. How pretty! Love the offset design & the colors! I just got a Misti & have not had a lot of time to use it yet but plan to give it a real workout this weekend! Thanks for the chance to win! Beautiful card and love how you used the stamp. So pretty and love this technique that seems so easy with the MISTI. Love the offset with such a detailed stamp. I just recently got the mini Misti and love it. It makes re-stamping sentiments so easy and works flawlessly. I love them to be dark and bold and used to struggle with a stamp positioner. Often getting offset sentiments! Not such a good look as your offset image, lol. I'd love to have the bigger one, since there are techniques I think would be really cool that I can't do with the mini. If I won I'd give the other one to my Mom. She has macular degeneration and I think that the Misti would help her be able to stamp again. Your card is beautiful! I love my Misti and would love to win one to give my daughter! She's a busy language teacher so doesn't have alot of time to stamp, but we have so much fun when we can get together to stamp. The Misti makes everything so much faster and easier! Love, love, love it!!! Thanks for your generosity! It is amazing to me how easy this was for you to do. Beautiful card. Such a gorgeous card, I love the image you stamped and how you used the double stamp technique! The MISTI has been at the top of my wish list for a very long time and I can't even imagine having the opportunity to share one. I am in awe of the generosity! Have a very Happy Thanksgiving! Pretty. Double stamp technique is so much easier with the MISTI. have to worry - just ink and re-stamp and it's fixed. Love this technique you did. I must be the last person to have one of these. Would love one. I am also one of those rare card makers who does not (yet) own a MISTI. I hope that will change soon. It amazes me how simple this is but looks like it was very time consuming to make this card. simple, but unique technique. thanks for sharing! Awesome idea! Think I need to go craft tonight! 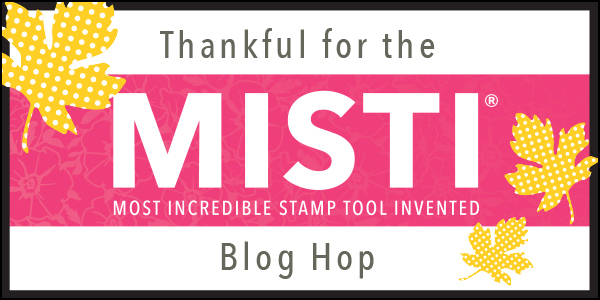 I am thankful for the Misti because it would make stamping easier for me. I have an auto-immune disease similar to Rheumatoid Arthritis. Misti could save me from straining to push hard on the stamps, cause I can just repeat it and only apply pressure where it needs it. All that adds up to more crafty time before my hands get sore! I'd love to win and share 1 with my crafty BFF of 16 years, Sharon, who has just gotten me through a the roughest year EVER. She's awesome. What a beautiful design. I love this offset look. Thanks for sharing with us. I love my MISTI and don't know how I'd ever go back to working without it. I love how terrific this looks and the two-toned image! Just beautiful! This one is a dazzler! Wow! I love the quote on your header too! I'd love to know what it means for you and for Sandburg. Oh, your card is beautiful, Lydia. I have to try the offset technique. I just used a MISTI for the first time this week - oh, it is going to help me in so many ways (mass production, straight sentiments, stamping on textured cardstock, just to name a few). I would gift a MISTI to one of my blogging friends (although, I am not sure about international shipping of the prize, so I can't say WHICH friend YET!). Thank you for the chance to win! Love the offset image...great card! I absolutely love this. Love the colors and that you used the stamp a different way. So cool. Love the layers you created! The Misti is fabulous for mass production stamping! Love it! Beautiful! Love my Misti! I would have quit stamping if I didn't have it! Love this technique which I can only imagine is nearly impossible without a MISTI. Thanks for sharing, it came out fabulously. Thank you so much for the giveaway! Happy Thanksgiving! What a beautiful cas card! Love that you used some winter stamps for a thanksgiving card, awesome! Happy Thanksgiving! MISTI would be helpful with this technique. Happy Thanksgiving! So so pretty and a fun technique that I need to try!!!! Gorgeous card and technique. Thanks for a chance to win. I am thankful to my daughters, who keep me motivated. Beautiful card and wonderful sentiment. I am thankful for all of the fabulous people in my life. I love the snowflake as a wheat medallion! Great way to extend the use. And I love my Misti more than any other tool in my craft room. LOVE IT! Lovely card. Love the MISTI so much I had to have two. Makes stamping and mass producing so much easier.. I am thankful for my MISTI because after years of delivering mail I have arthritis and carpel tunnel, which can make card making difficult at times. MISTI makes me look like a great card maker. I would give the MISTI to my daughter-in-law who gave me lots of paper and pens when I started this hobby several months ago. I love your off-set card technique. Nice card; would not have thought to use these colors. I can't believe how long it took me to use my MISTI. I mass produce treat holders and the MISTI has helped minimize waste. No more mis-stamped or uninked images... and stamping goes much more quickly. That stamp is amazeballs and I love it double layered like that!! I am so thankful to have a MISTI as I've saved countless trashed projects from uneven re-dos!! I'm tickled to have the chance to gift a MISTI to my crafting bestie, Mary, who encourages me so much in my crafting endeavors! I am thankful for the talented crafters, such as yourself, who teach us to think outside the box and of course create wonderful crafting tools. I would love a Misti ! So unique! Love it. Thanks! I love your card. Great design and color choice. I am thankful for inspirational bloggers like you. Love your card. Great design and color. I am thankful for inspirational bloggers. LOVE image and the dimension the offset stamping gives!!! I love the technique you used for your card and that you expanded the use for fall! I'm looking forward to hearing more about your family going homemade only - that's been on my heart for years. I'm so thankful for you and other crafters who selflessly share their talent and I'm grateful for my new stamping friend Renee who would love a MISTI (almost) as much as me. Love this card! Thankful for all the inspiration! I am grateful I finally purchased the original MISTI. I am blind in one eye and this has helped ease the frustration of trying to line things up for multiple stampings etc eliminating many a tossed project. Now it even travels with me to crops, so I have been eyeing (lol - no pun intended) the Mini MISTI. I'm thankful for Misti because it makes it easy to make a bunch of cards at one time. My friend Carole Ebel is a crafter, too. I wish I could give one to my friend in Canada... who, like me, moves to make cards for friends and family. Oh wow! Such amazing giveaway!!! I haven't a Misti yet but I'm sure The Misty would make everything so much easier! If I win, I would love to give the other one to my best friend. We started about 1 year ago to crafting and Misti for both of us is a dream!!! Crossing my fingers!!! Anyway, I hope you had spent a beautiful Thanksgiving! I'm Italian and we don't celebrate it but I think it's always a good thing stop to give thanks for all we have. I love my MISTI. being able to restamp images and get the sentiments straight has saved so much time and wasted cardstock. Love the video! I like your voice froggy or not. I keep looking at the MISTI then at the price then do not get it. If I could win one it will solve this product dilemma. Thanks for every thing. I don't have a misti, but love watching videos using them ! I am thankful for my friends I scrap with once a month ! Great tutorial video! Excited to own a Misti! I am thankful to be able to post that I wish for a MISTI... want... need! Your card is precious! Hope your Thanksgiving was special! The card is beautiful. I don't own a MISTI but I believe it would be quite a time saver. If I win I would give the 2nd MISTI to my scrapping friend. Thank you for sharing your stamp re-purposing idea. Definitely something I can improve on. Hi, Love your card with the offset stamping and bright yellow! I have spent years avoiding stamping sentiments on the outside of cards for fear of ruining them and the Misti seems to solve that problem. My favourite thing about the Misti is the ability to quickly create multiples! I am grateful for so many people but think I would gift the extra Misti to my niece. She is just starting on her crafting journey and the tool would help her stamping. Thanks! Great video Lydia. I've never tried the Offsetting technique with the Misti, but it'll be on my to-do list for sure. I like the way you took used a stamp outside it's season and extended it to another celebration. I also like the lighter hand on the sentiment, as sometimes I think I press too hard and blurr the image. Appreciated. Hope you had a terrific Thanksgiving and happy stamping! I'm like you and can't stamp without my MISTI. I've only been stamping about 5 years and made a lot of trash before finding the MISTI! 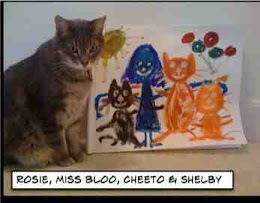 I'd give the second MISTI to my daughter who is creative, but doesn't think she is! Very cool - didn't think to offset a snowflake! Beautiful card. I don't own a Misti, but sure would like too. I struggle with stamping sentiments straight so think this would help. It would be so fun to share this with my other stamping friends. I love the shift stamping...it makes the yellow stand out significantly. I'm so thankful for my friend who shares and teaches me so many crafting ideas that it would be AWESOME to win a MISTI for us both. Thank you for the opportunity! I love this card and will have to try this technique. Beautiful look with these wonderful fall colors. I am thankful for the MISTI because it has brought me back into stamping. I was always frustrated with uncentered, blotchy images so gave up the hobby. The MISTI has brought me back to a hobby I love. Also, the memory MISTI has allowed be to get great stamped images on my scrapbook pages. Very pretty card - I love the yellow shadow. Awesome tip to offset the stamp a little to create the 3D look. Thank you for your video and a chance to win! Fabulous card. I'd like to try this technique. I always hated clear stamps, I could never get a good impression. I'm thankful the MISTI has changed that. I would love to give a MISTI to my stamping buddy, Teri. Her laughter lights up my life. Just getting time to hop, would have never thought to use this stamp for fall, gorgeous card! I've never tried the Misti but the more I hear about it, the more I realize that I need one! Anything that makes me a better stamper is a plus, and I would share one with my Mom who is also a crafter. Thanks for the demonstration! Beautiful card! I love that you took it in a different direction by making a fall card rather than a snowflake. Love it! Hey Millennials - Listen Up! Can Someone Bring Me Shock Pants?